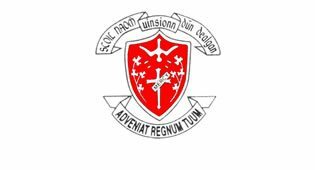 St Vincent’s public speaking and debating team are continuing their winning streak as the girls clinched gold in the Leinster Final of the Knights of St. Columbanus Public Speaking competition. Doireann Minford, Sadbh Boylan, Leah O’Shaughnessy and Gillian Fearon delivered their impassioned speeches in favour of the abolition of the death penalty in the Knights’ headquarters at Ely House on Monday last. The adjudicators were deeply impressed by the depth of knowledge, highlighting the detailed research the team had carried out. 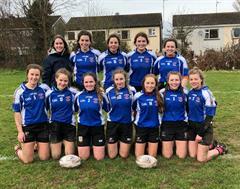 The polished delivery on the day ensured the girls secured their place in the national final which will take place in Maynooth on Saturday. The team were presented with a Belleek trophy and €200 which they have donated to the school library. The win comes at a busy time for the team and their coach, Victoria O’Hagan, since esteemed team member, Leah O’Shaughnessy (already a national champion having won last year’s European Soapbox award) will deliver a speech in the national final of the Action Aid public speaking competition which takes place in Dublin on Wednesday. Indeed Dublin Castle will on Friday pay host to another team member, Emma Connolly, who will deliver a Ted Ed talk on the benefits of music education in commemoration of the first sitting of the Dail in 2019. It is clear that the hard work of the team is paying off and we wish them the best of luck as they strive to bring home the gold once again!